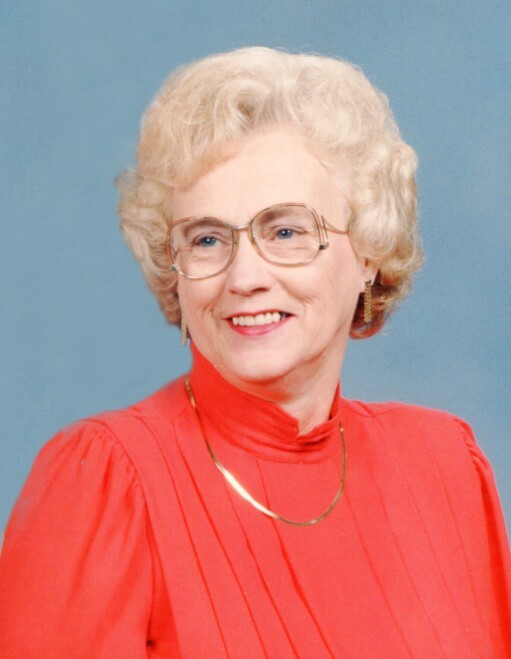 DeForest – Donna Mae Buchner, age 85, passed away on Wednesday, February 6, 2019 at Bright Star Senior Living in Waunakee. Donna was born May 13, 1933 to Curtis and Della (Roberts) Hanson in Arena, WI. She grew up in Wyoming Valley and was a 1951 graduate of Spring Green High School. As a teenager Donna had the opportunity to spend time at Taliesin, caring for renowned architect Frank Lloyd Wright’s grandchildren. After graduation, she moved to Madison and was employed by the First Wisconsin Bank on the square. On October 7, 1951 she married Warren Buchner. Donna was a loving wife and mother of four children, always lending a hand to her husband’s woodworking, construction and furniture refinishing projects. Together Donna and Warren operated a Bed & Breakfast at their rural home, meeting a variety of unique people from across the country. Known for her cooking and baking, particularly sweet buns, she also enjoyed antique shopping and going to garage sales. Among her unusual accomplishments were bus driving for the DeForest schools, and trading agricultural commodity futures. She loved spending time with her family and helping her children and grandchildren. Donna is survived by 4 children; Charlene (Dr. Rex) Flygt, Alan (Linda), Neil (Jennifer), Lyle (Laurie); 13 grandchildren; Naomi (Jason) Burke, Lisa Buchner, Brandon (Tonya) Buchner, Adrian Flygt, Reed Flygt, Amy (Craig) Manthe, Brittney Buchner, Briona Buchner, Garrett (Brooke) Buchner, Emily (Brady) Buchner, Richard (Emily) Morgan, Ryan (Christeen) Morgan, Lindsey (Garret) Kaltenberg; 10 great-grandchildren; brother, Jerry (Judy) Hanson; and her AFS daughter, Margaret Tudor (David Tollefson) of Olympia, Washington. She was preceded in death by her loving husband Warren (deceased September 22, 2018), her parents Della and Curtis Hanson, her sisters, Elaine Norman and Beverly Hanson, and her brother-in-law Kevin Norman. A memorial service will be held at 11:30 AM, Monday, February 11, 2019 at the Windsor United Church of Christ, 4434 Second St., Windsor, WI. Visitation will take place from 10:00 AM Monday until the time of service at the church. The family would like to thank Gregory Motl, MD and Teresa Patwell, APNP, and Saint Croix Hospice, for all the wonderful care they provided. Memorials can be made to DeForest Area Needs Network PO Box 159, DeForest, WI 53532 or Saint Croix Hospice 414 Broadway, Baraboo, WI 53913.